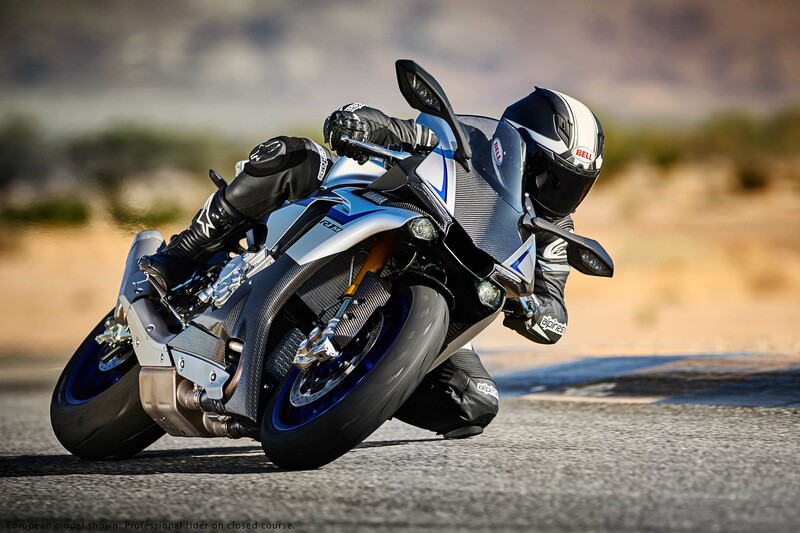 While the 2015 Yamaha YZF-R1 is pretty impressive in its own right, the folks at Iwata weren’t content to let things be, and thus have produced the 2015 Yamaha YZF-R1M. 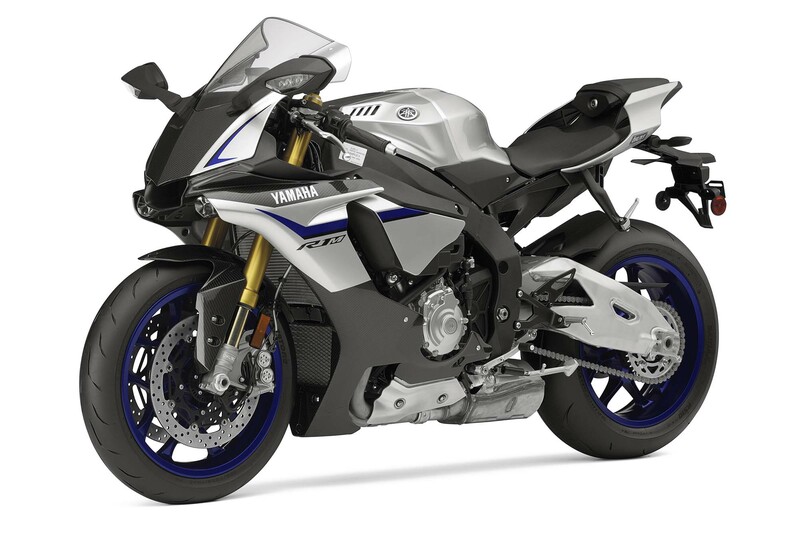 An exclusive extension of the R1, Yamaha calls the R1M the closest thing there is to the company’s GP machine, the Yamaha YZR-M1. 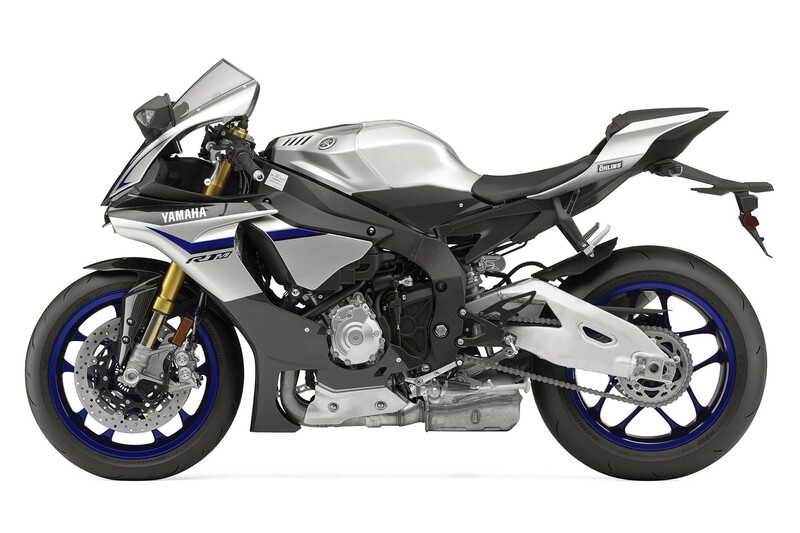 Featuring the same 200hp “CP4” crossplane 998cc inline-four engine as the base model, Yamaha has added Öhlins’ ERS semi-active suspension pieces to the superbike, along with carbon fiber fairings, and a robust GPS-powered data acquisition system. 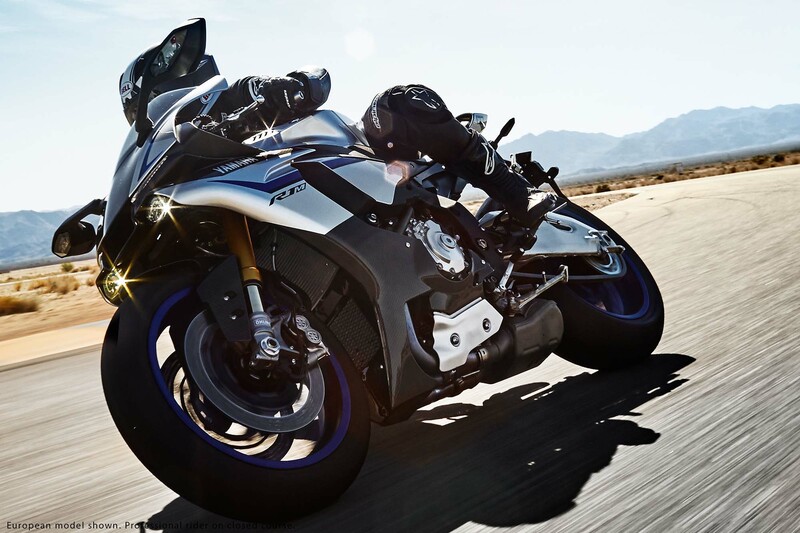 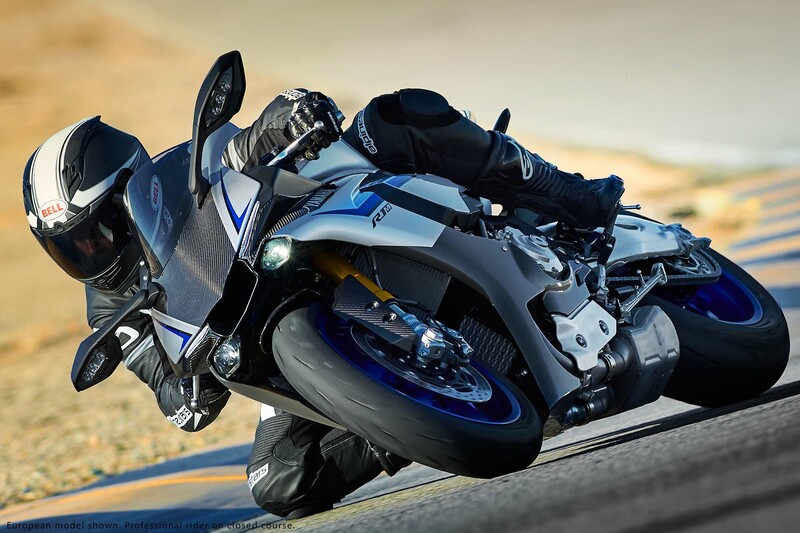 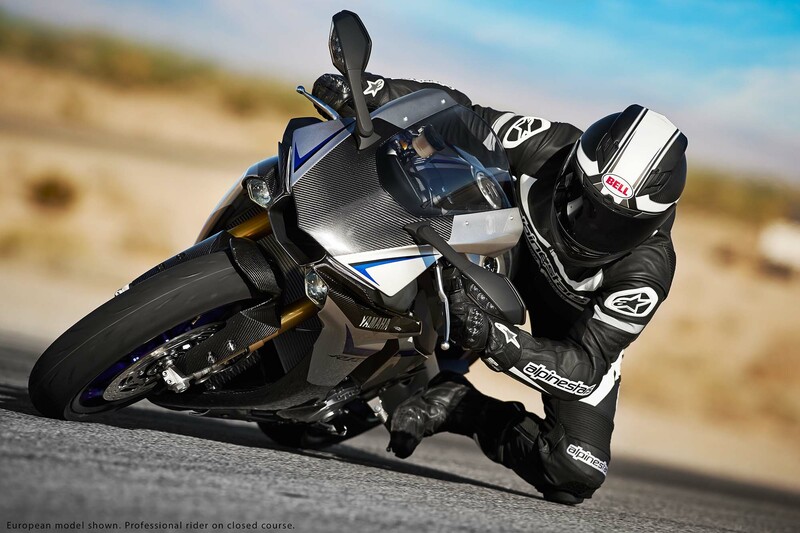 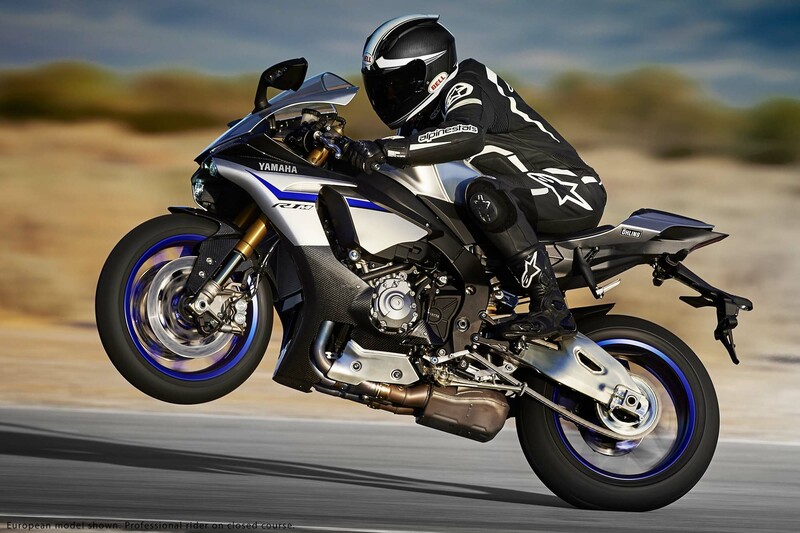 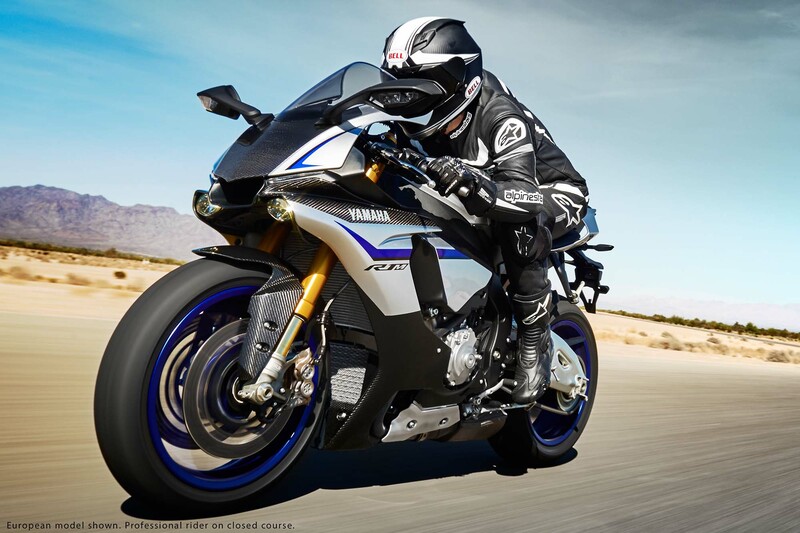 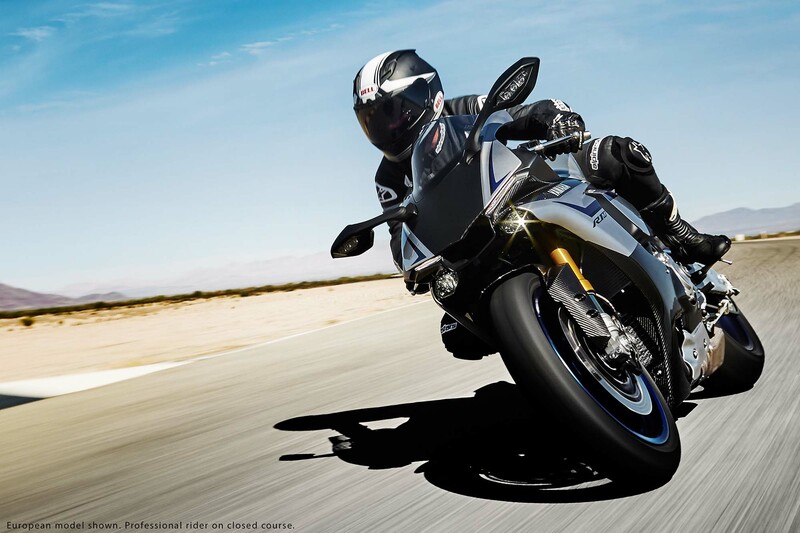 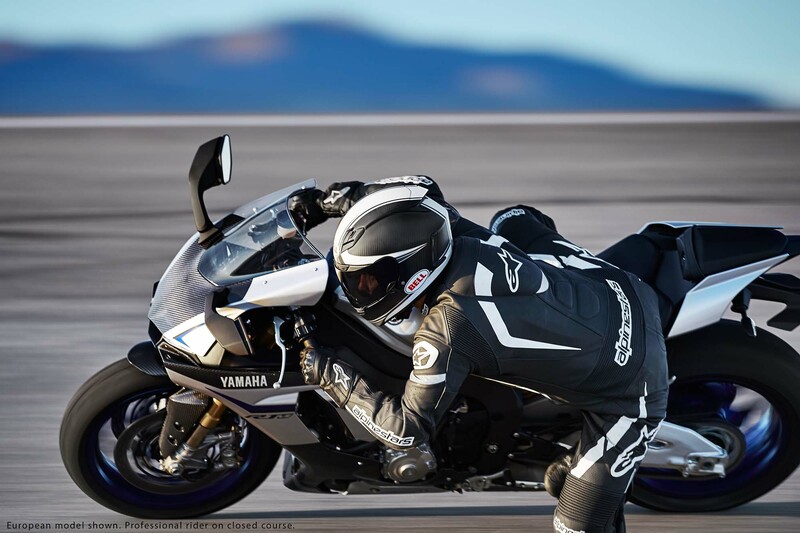 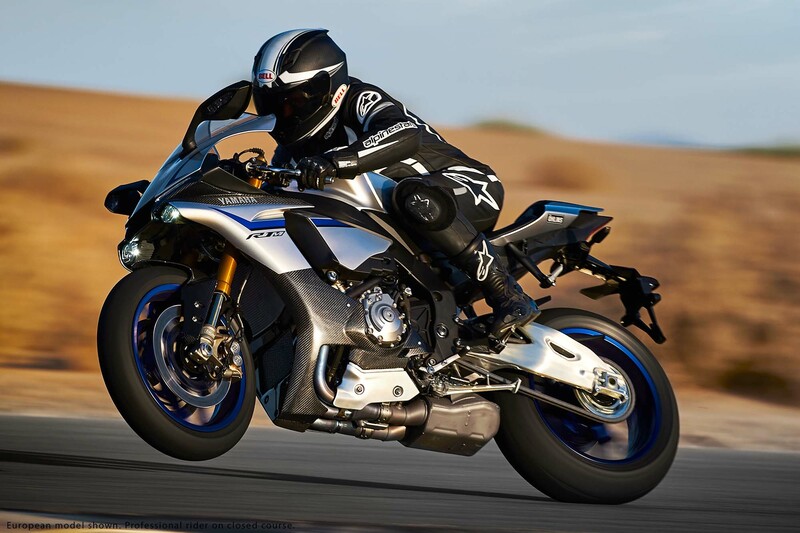 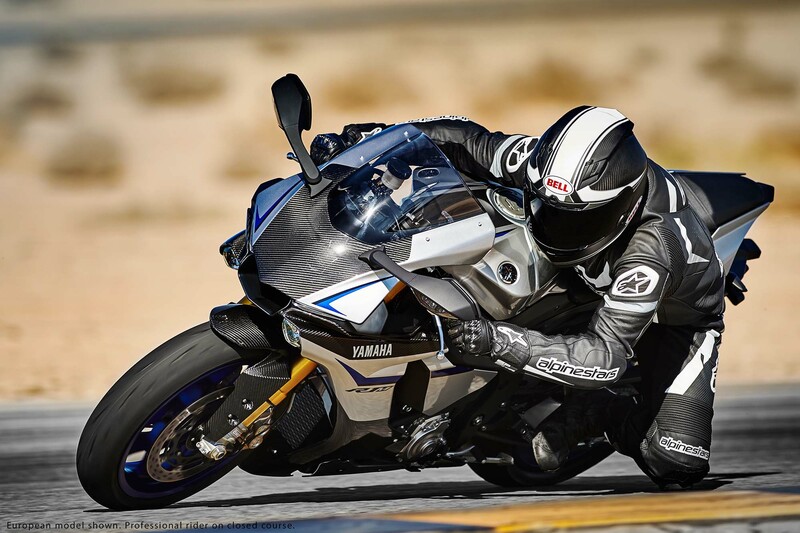 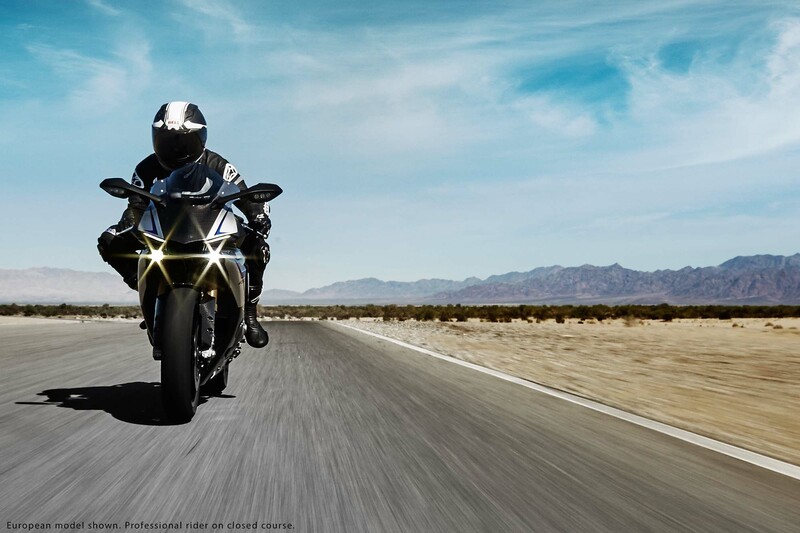 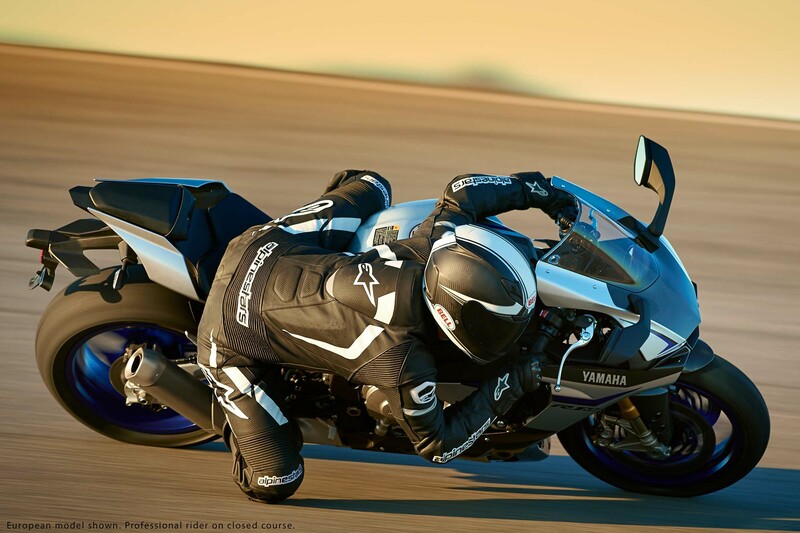 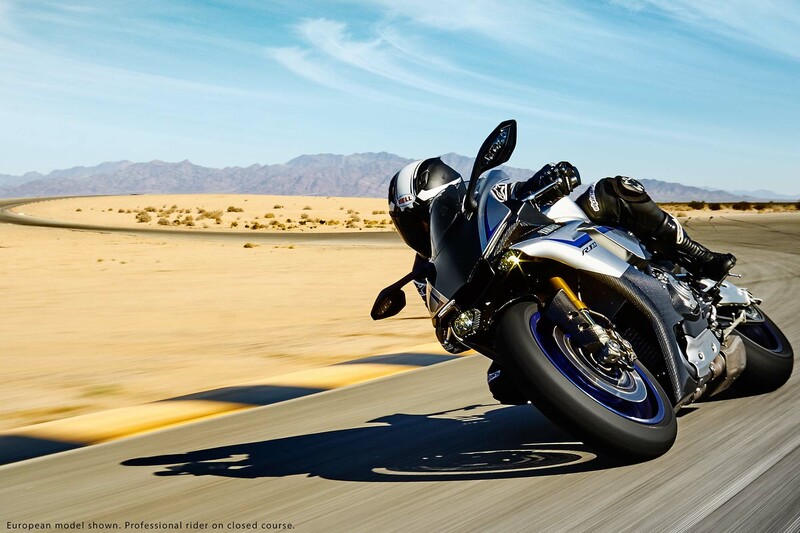 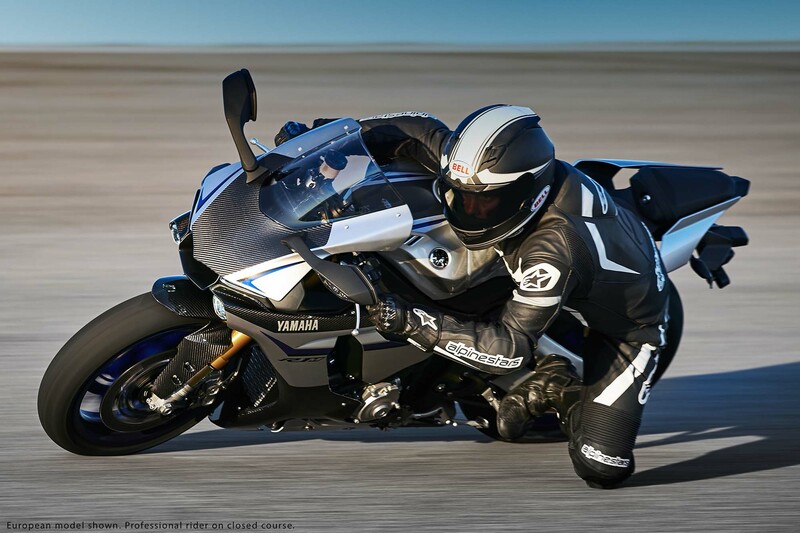 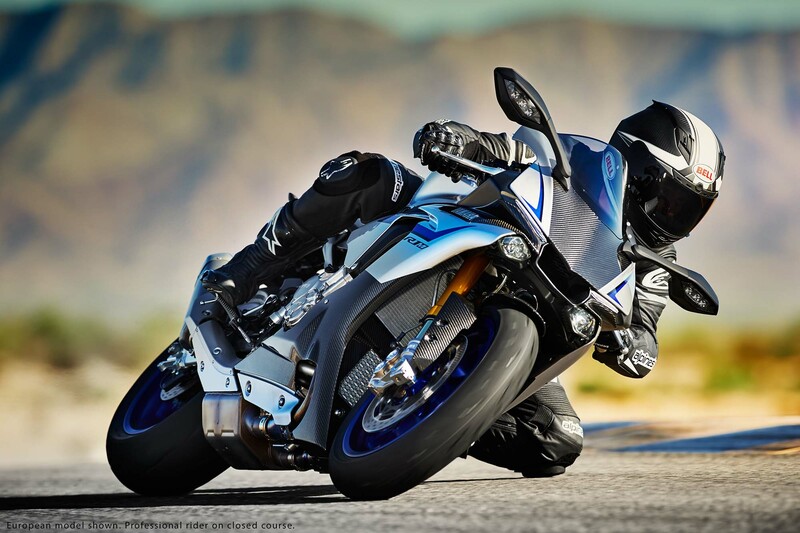 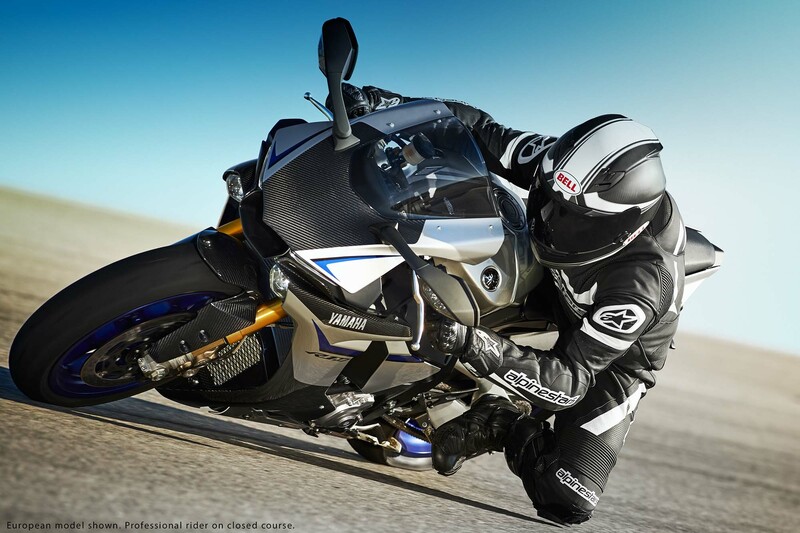 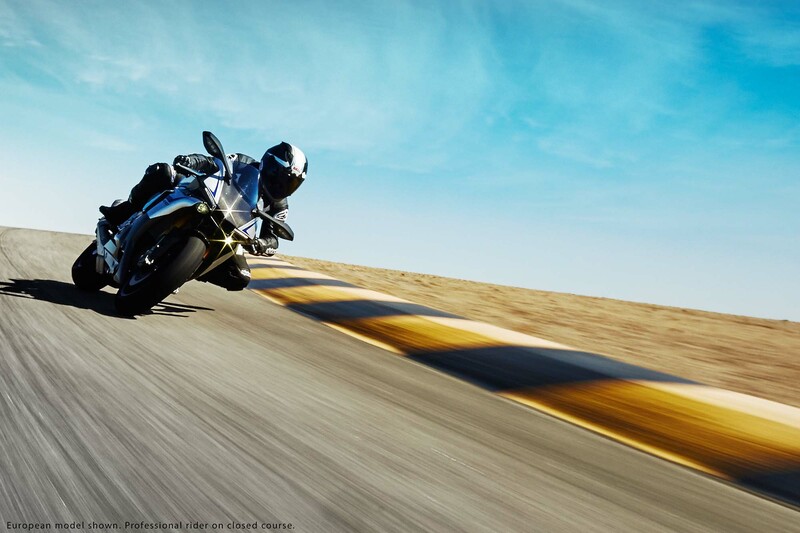 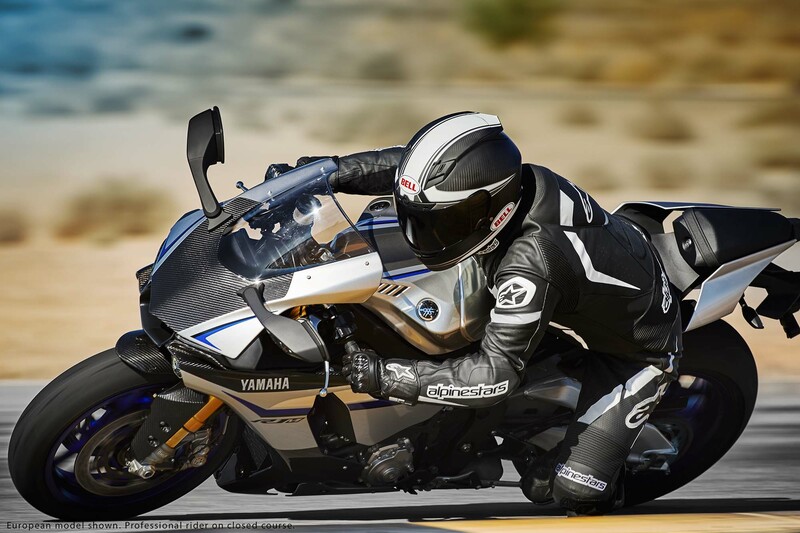 The Yamaha YZF-R1M utilizes the powerful electronics package that Yamaha has developed, with traction control, launch control, wheelie control, slide control, and anti-locking brakes all acting in unison through the inertial measurement unit (IMU). 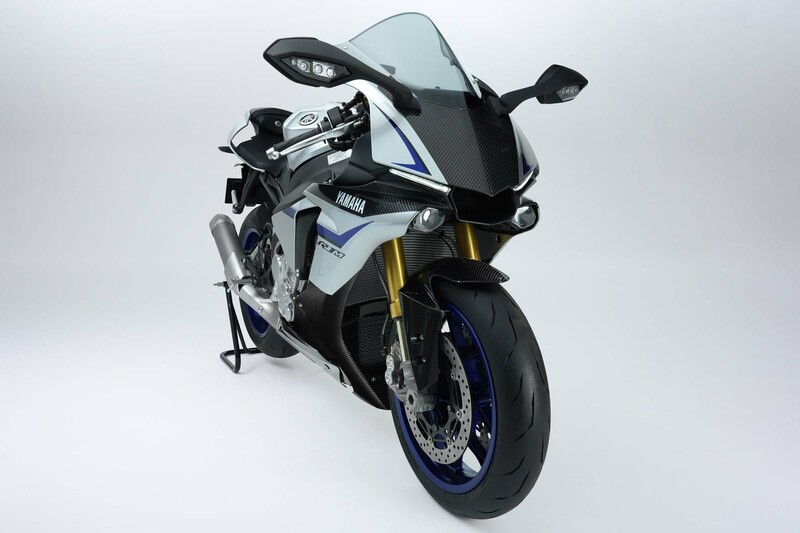 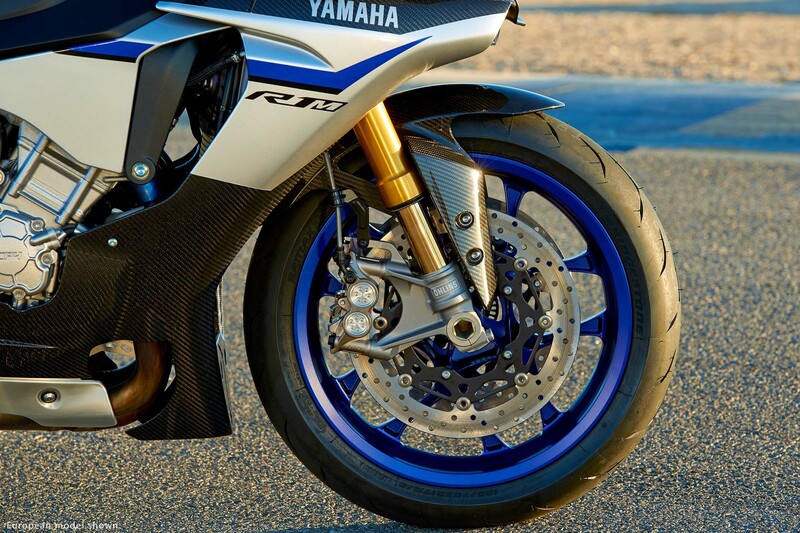 Able to know how the motorcycle is moving through six-axis, the Yamaha YZF-R1M can then tailor how it responds to rider and road inputs, via the engine, the suspension, and the brakes. 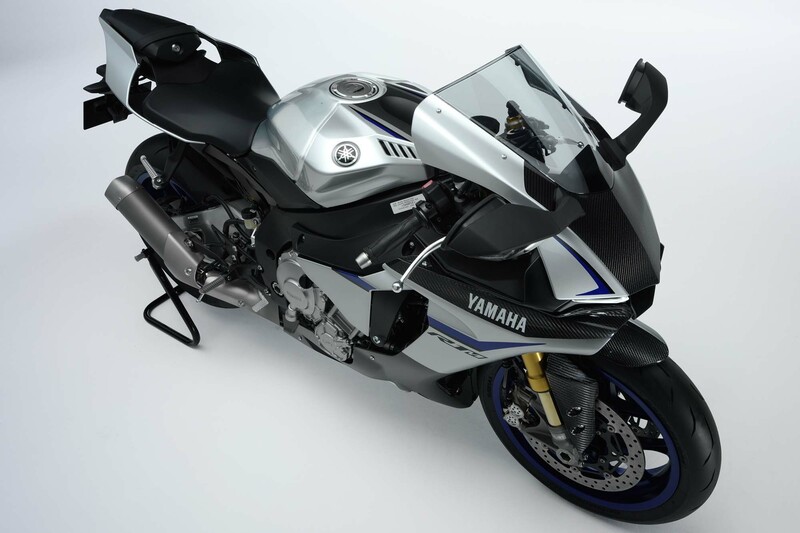 Yamaha has also fitted a communication control unit (CCU) as standard, which will allow a rider to download riding telemetry and GPS data via wifi, and then upload settings back to the R1M’s computer. 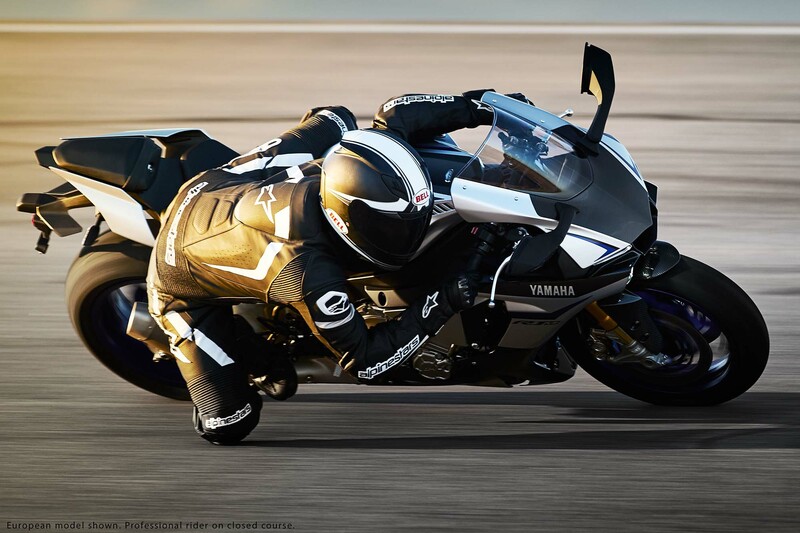 Slide Control System (SCS), the first of its kind on a production motorcycle comes directly from the YZR-M1. 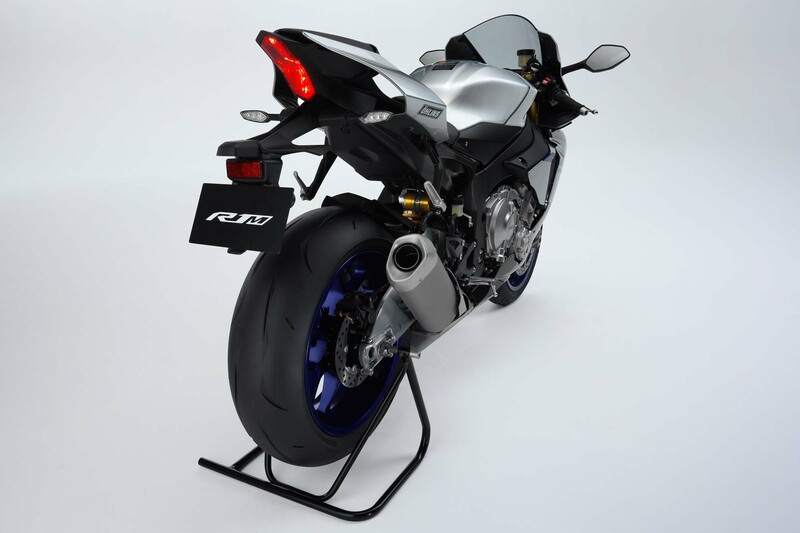 It works in tandem with the IMU, where, if a slide is detected while accelerating during hard leaning conditions, the ECU will step in and control engine power to reduce the slide. 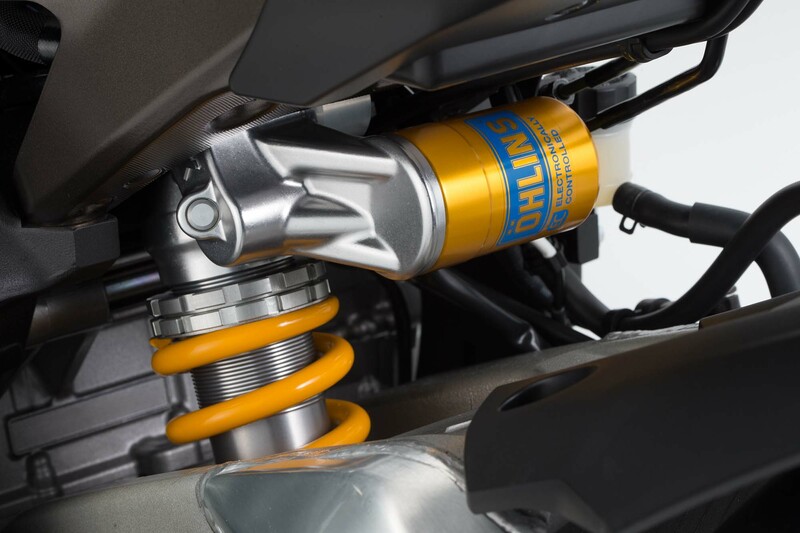 This too can be adjusted by the rider. 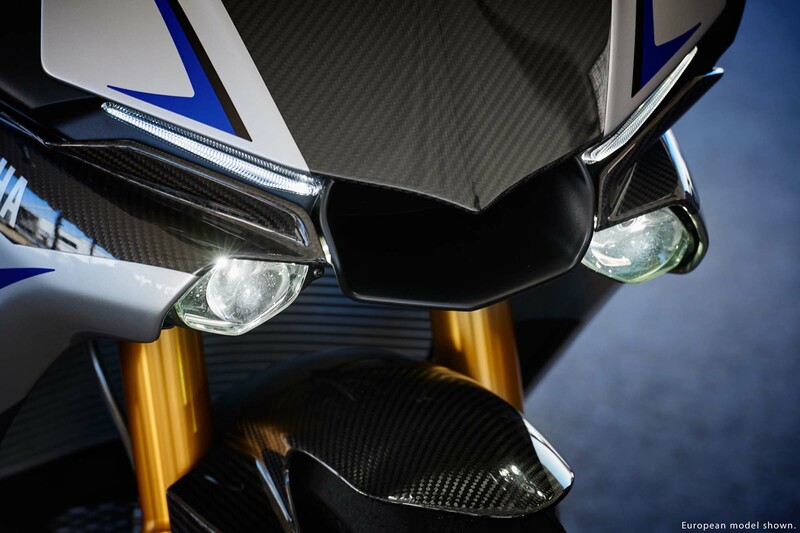 Four settings (1-3 and off). 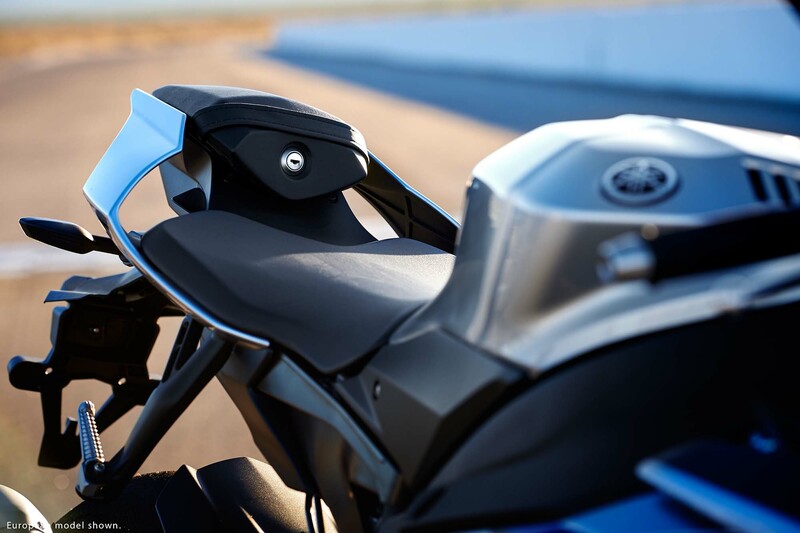 Lift Control System (LIF): IMU detects the front to rear pitch rate and the ECU controls engine power to reduce the front wheel lift during acceleration. 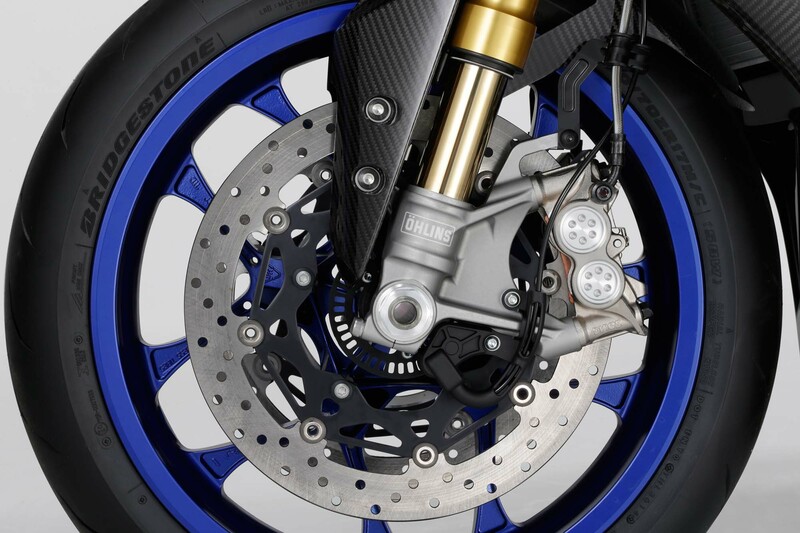 Four settings (1-3 and off). 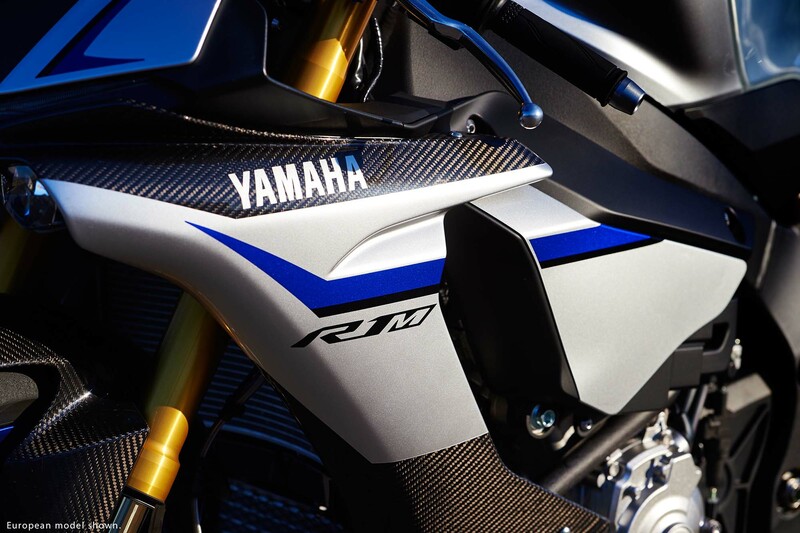 Launch Control System (LCS), limits engine rpms to 10,000 wide open throttle. 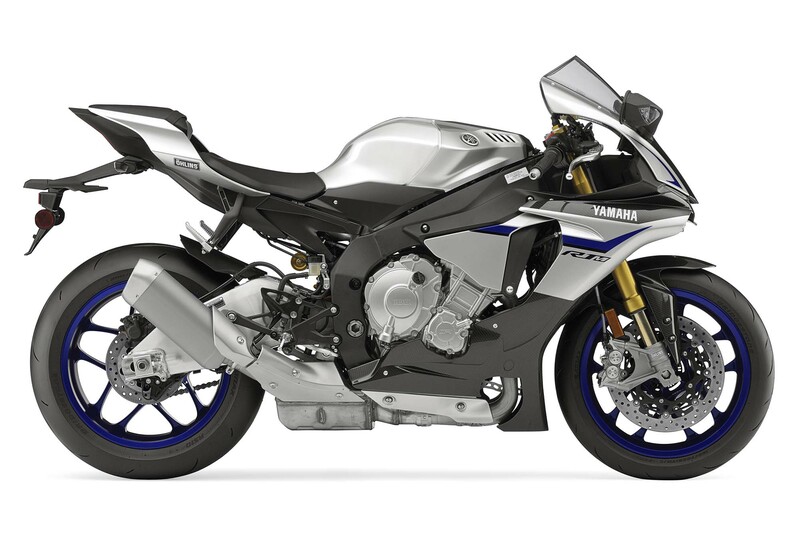 It maintains optimum engine output in conjunction with input from the TCS and LIF systems to maximize acceleration from a standing start. 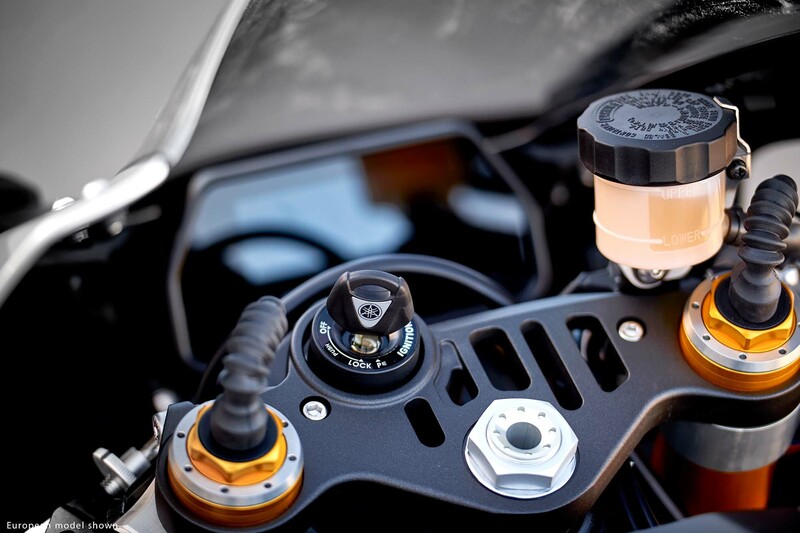 Three settings (1-2 and off). 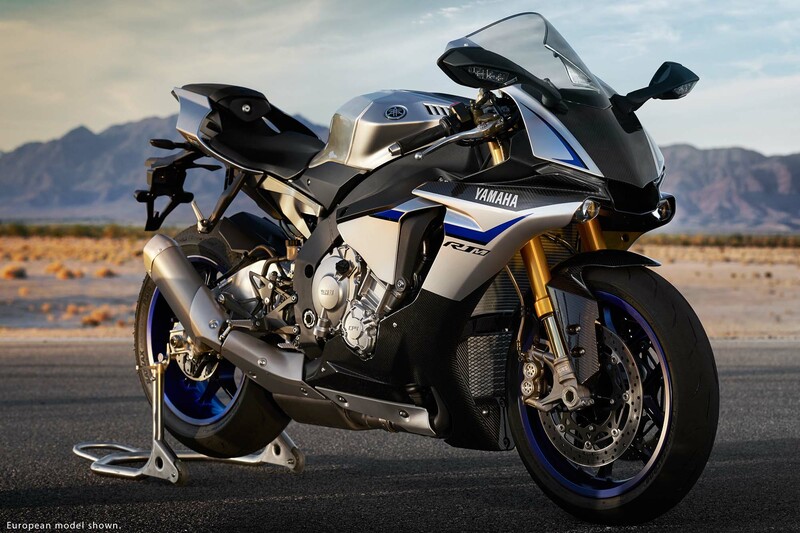 Available in the USA starting February 2015, the Yamaha YZF-R1M comes only in Carbon Fiber/Liquid Metal, with a price tag of $21,990 MSRP. 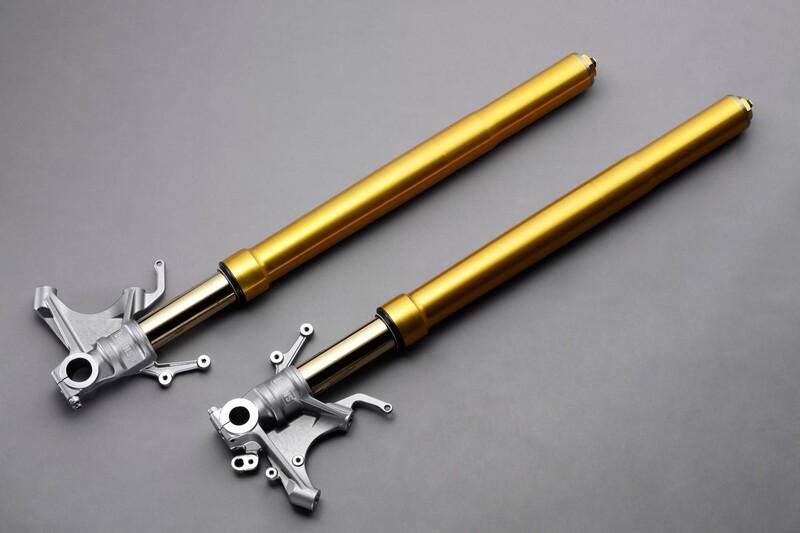 Only 500 units will be made worldwide.